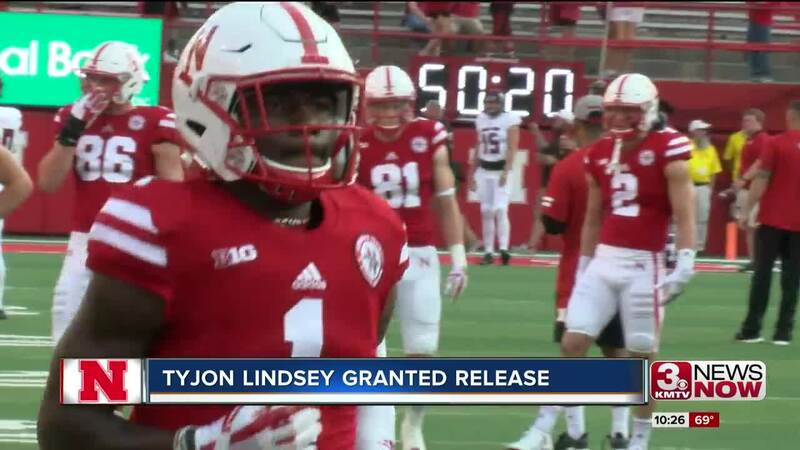 A Nebraska spokesperson confirmed to 3 News Now that sophomore wide receiver Tyjon Lindsey has requested and been granted his release from the Nebraska football program. Since Lindsey only played in four games in 2018 he'll be able to retain this year of eligibility. The highly-touted recruit played immediately as a true freshman, starting one game and catching 12 passes for 76 yards in 2017, however Lindsey hasn't seen the field much in 2018. This season Lindsey had three total catches for 16 yards, with no catches this past weekend against Purdue. Lindsey is the first former starter to transfer from the Huskers since the season started.